It is always better to have an electric vehicle than the petrol and diesel vehicles. The electric vehicle is important to reduce pollution such as noise pollution, air pollution and it runs at the very low cost such as 0.80p/km But there are fewer chances that you actually have one. As of now, there are very less electric vehicles available in India and those which are available has many restrictions such as less battery range, electricity problems, etc. 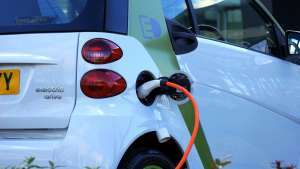 India government has given a statement that by the year of 2030, all vehicles in India will be electric vehicles. In the future, India will get more electric vehicles as the Indian government is working so hard for that. The government announced that after 2030, petrol and diesel vehicles will completely ban in India. they have also told motor companies to develop BS-6 cars from 2020 because its good for the environment. The current reason for not selling electric cars in India is the lack of infrastructures. India doesn’t have much electric power outlets to charge the vehicles and also in India most of the people have single phase connection in their home so its take too much of time to charge the vehicles. Another point is we don’t have many variations in the electric cars. Currently, the only Mahindra is manufacturing electric cars and those cars have many problems like it takes 8 hours to be fully charged battery. The A/C in those cars is also not working so great and it has small battery range. Now let’s go in practicality, If you buy an Indian electric car lets say you bought Mahindra e2o Plus which supports driving range up to 140km. Now the low battery range just not a problem, the problem is India does not have the many electric cars charging outlets so you simply can’t go for long drive. Another problem is it takes 8 hours to be fully charged so you can’t stop somewhere and charge it instantly. The top speed of this car is just 80km/hr so can’t drive at high speed. So the thing is you can just use this car for your daily work like if you want to travel just 30 to 40 km and most of the people can’t spend 8 lac rupees for such low driving range. Currently, due to lack of power stations, people are charging their electric vehicles at home itself. Most of the people don’t aware that there are already more 50 power outlets in Delhi and Banglore where you can charge your electric vehicles. Indian government already states that they are making 300 power outlets in Delhi itself which is more than petrol and diesel outlets so that’s the good thing for Indian people. so in future India will get more electric vehicles for sure.